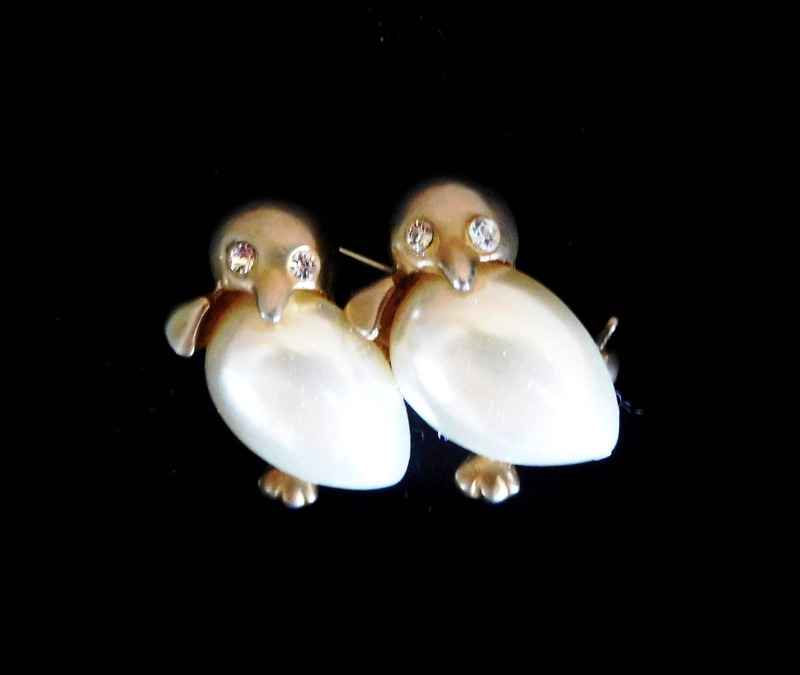 1960s goldtone teardrop faux pearl luster with diamente eyes birds brooch, scarf pin, vintage birds jewelry that would look so lovely worn on anything from a denim jacket to a long flowing dress. The brooch is in lovely vintage condition, though with very minor, gentle wear to the goldtone finish... which only adds to its gorgeous overall look. The brooch measures approximately 3-4cm across. Postage cost reflects both postage itself, size and weight of the parcel, padding and packaging as well as the time taken to send this item with care. Details regarding international postage rates – from Adelaide, South Australia – are not given within any of the listings in our store as they vary wildly from parcel to parcel, and country to country. We would hate to miscalculate and make you pay more than you need to by adding the wrong information to a listing, so we ask that you please contact us BEFORE purchase for the correct cost to your address! With this in mind, it’s worth noting that international postage from Australia can be expensive. Postage is calculated based on the cubic size and weight of the parcel as well as what it takes to send your item with care. As an example, the cost of sending a 1kg, well padded parcel measuring 30cm x 30cm to New York in the United States is over $40 Australian dollars. This is not a price we have made up... it’s what it costs to get something of these proportions out of this country and into the USA. That said, we will save you money wherever and however we can! Please read the Shipping & Policies details, and use the 'Ask a Question' button to discuss any query that you may have. And remember that pick up from Magill in South Australia (postcode 5072) is always welcome!